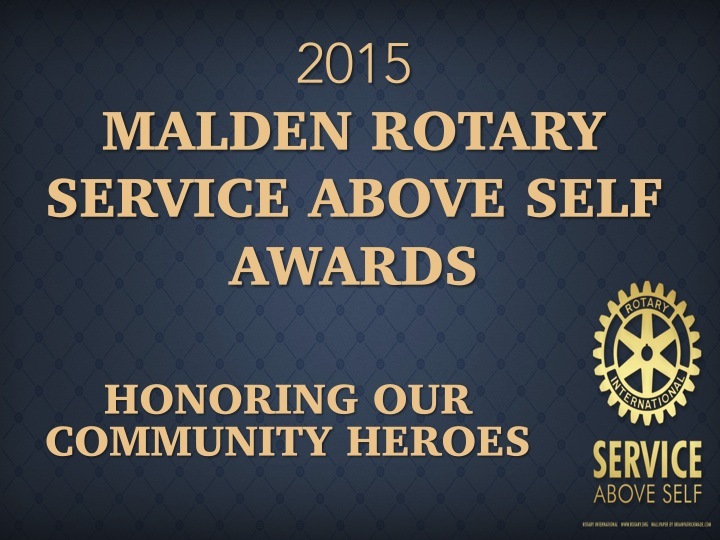 Every year Malden Rotary recognizes several heroes from the community at the Annual Service Above Self Awards Dinner. The awards program honors people from our community that work selflessly to ensure our community is a safe and thriving city to live in. Malden Rotary honors members of the Malden Police and Fire Departments, the Emergency Management Center, Cataldo Ambulance, the Middlesex Sheriff's Office, Hallmark Health and a community service volunteer. Please check back soon for information and updates regarding the 2016 Awards Dinner and our list of deserving recipients.